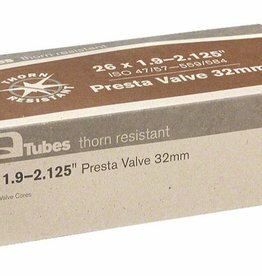 Q-Tubes Thorn Resistant tubes feature 4mm thick butyl rubber in the tread area tapering to 2mm sidewalls. 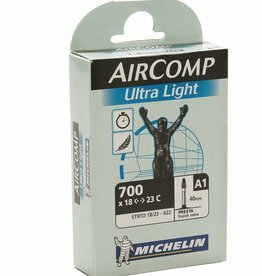 The AirComp Ultra Light is the lightest tube Michelin produces- designed for race applications. 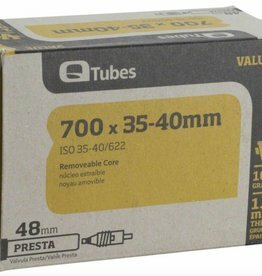 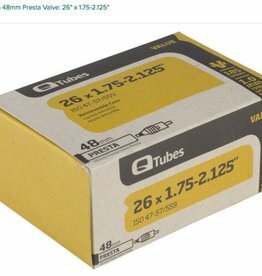 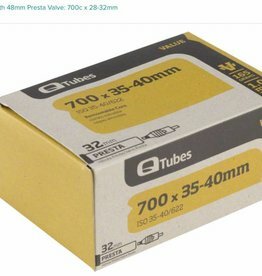 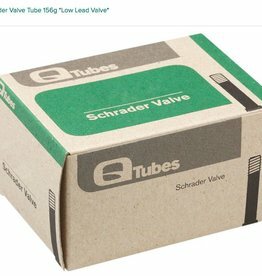 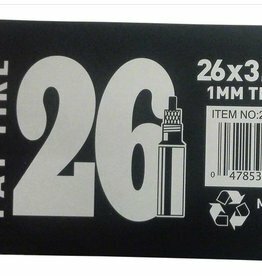 Q-Tubes Value Series Tube with 48mm Presta Valve: 26" x 1.75-2.125"